Musicians/bands/singers submit their best compositions for the contest. Although we count primarily on Russian would-be bands, there are no limits on the level of prominence, singing language and music genre. Music files will be accepted until the 1st of March, 2010 (the deadline can be extended). The creators who participate in the contest choose the composition they like the most out of all the music tracks submitted and use it to make a music video. The deadline is the 20th of June, 2010. Thus, it is a mutually beneficial cooperation, as the band receive a music video for one of their songs and the music video creator gives a boost to the development of domestic music community. Also, the creator has a chance to help a promising band to gain popularity, and has a chance to get spotted in certain circles as well. 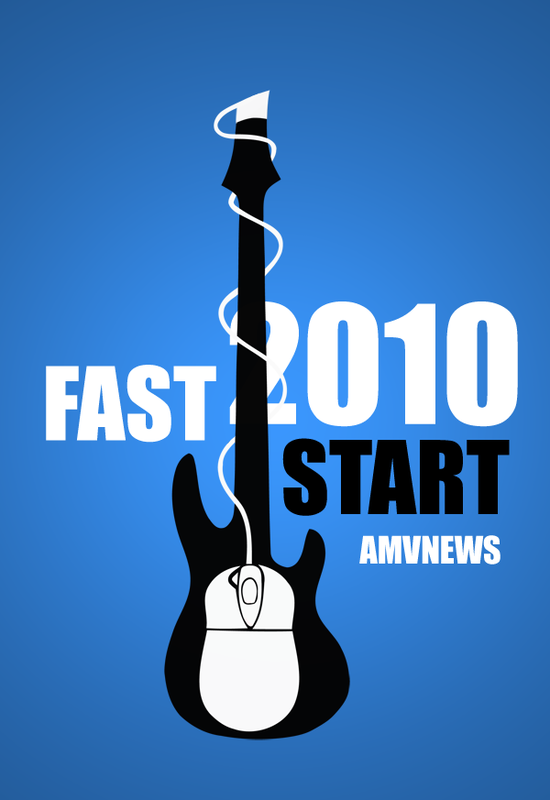 Videos from contest organized by AMVNews.ru then are posted by users on other big videohostings like YouTube and get attention of thousands of users. 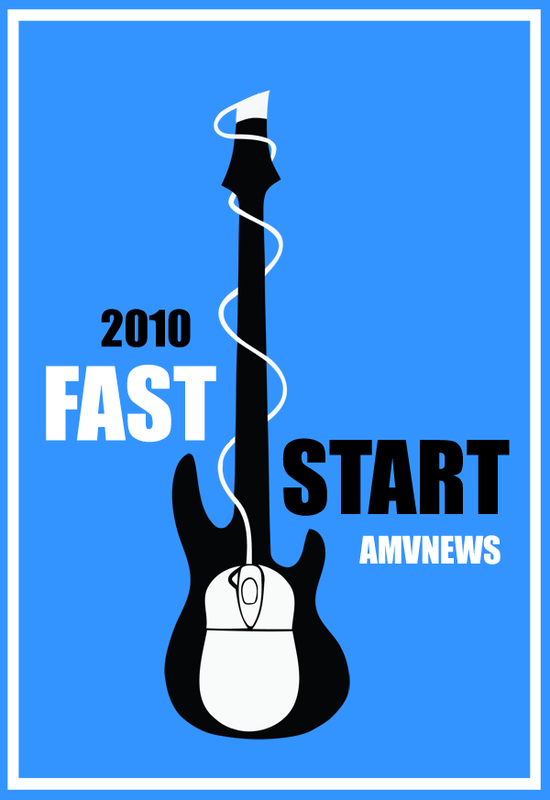 The registration of music artists is on till March the 1st, 2010. You can register via the online form on the site. You can provide link to the music file or upload it on our server (use one of the following formats: MP3, FLAC, OGG). 1. Any band/singer, irrespective of their status, level of prominence or music genre, can participate in the contest. 5. Only tracks in MP3, FLAC and OGG formats are accepted. The higher the quality is, the better. 6. The music tracks entered for participation in this contest will be publicly available for all visitors of the site. 7. It is forbidden to encourage creators to choose a certain composition by publicly offering them additional prizes, although you are allowed to increase the general prize fund which will be distributed by the contest organizers when the contest is over. Any music artists caught or bribery can be disqualified from participation in contest. You can encourage any creator personally when the contest is over. 1. There is no guarantee that the composition you enter will be used in a music video – a creator must choose to work with it first. That’s why it is recommended to add the most successful and popular composition of yours so as to increase its chance to be chosen for music video. 2. The list of compositions approved for participation is available on the following page: the list of contest tracks. 3. It takes some time to check the tracks added (1 to 3 days). Once again [url=http://amvnews.ru]AMVNews.ru[/url] web site holds a thematical contest for nonprofessional music videos creators. This time not only music videos creators, but also musical artists can take part in the contest. Till the 1st of March 2010 any would-be band/singer have a chance to send one of their most successful compositions for the contest and, with a bit of luck, get a music video for that music track – the one made by a nonprofessional creator. 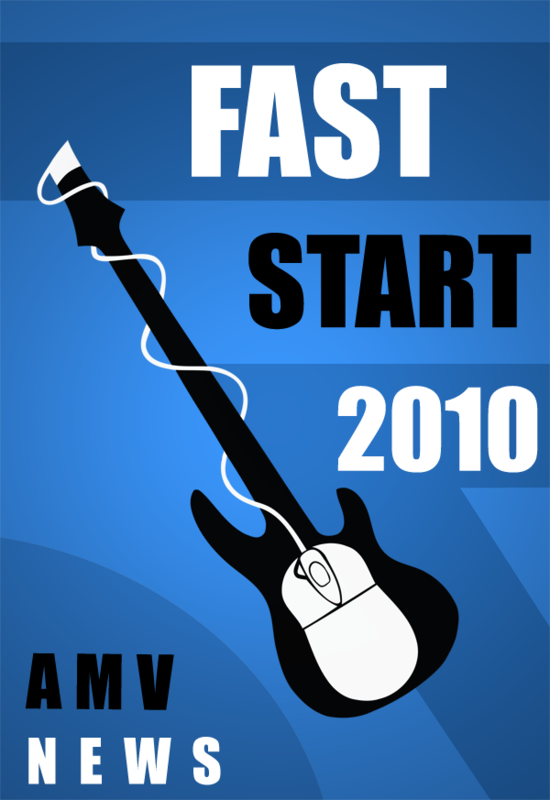 See the following link for details and registration: [url=http://amvnews.ru/forum/viewtopic.php?t=1846]the rules of Fast Start 2010 contest[/url]. 4. The winners are decided by the joint judges' vote within 10 days after showing of the last contest video. Contest video can be made of any sources. 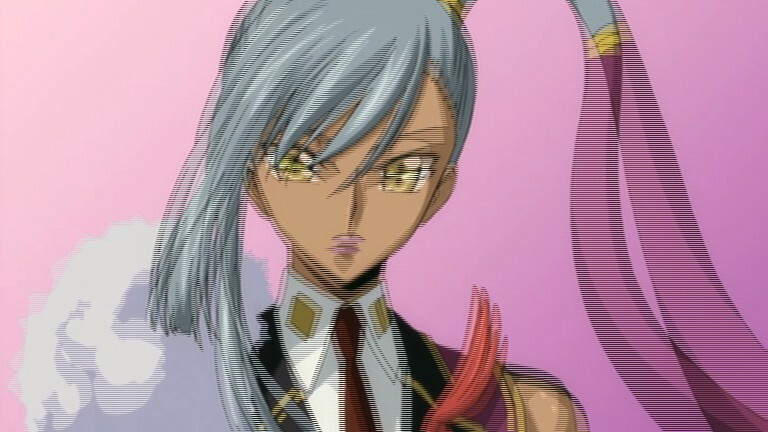 Particularly, the videos which do not meet the definition of AMV are also allowed for participation. Music track must be chosen from the compositions registered for the contest. Cutting the track is forbidden (except for opening/ending mute parts), but you can request a short-cut version of the song from its authors. Videos premiered after March 1st, 2010 are eligible for participation. The contest video can be entered for participation in other contests and showed at other web resources. Each participant is allowed to submit one video only. Multi-editor projects (MEP) are also accepted. You must know exactly the title of the source used for your video. AMVNews and/or the contest title must be mentioned in the video, how exactly to mention is to participant's choice. A line in credits should be enough. 1) There are significant compression artifacts. 8) There are violations of Russian Federation legislation, in particular concerning the incitement of ethnic hatred. * - It is possible to use another song of the band/singer registered for the contest by mutual arrangement with the music artist. In case there are too many contest videos the voting shall be split in two stages. First the participants for the final round will be chosen from all the contestants; next, the winners will be chosen from the runner-ups. A video wins if it gets the majority of points during judges' voting. In total there will be 5 prize places. - Full version is to be compressed at the rate of no more than 25 MB per minute of the video. The limit can be extended if HD-footage is used. - Preview version: file size at the rate of no more than 2,5 MB per minute; resolution width 480 pixels. 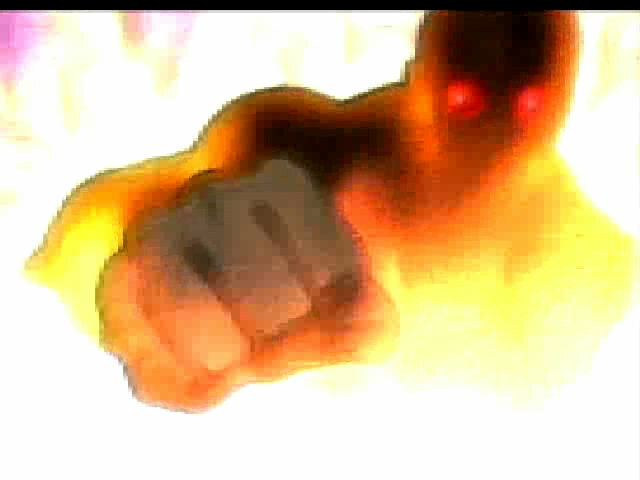 Encoding combination x264+AAC+MP4 is highly recommended. Some remarks concerning prize fund. 1) If AMV and non-AMV ratio is approximately 30-70%, then there will be a separate voting for AMV and non-AMV and the prize fund will be divided in two. 2) It is possible that additional awards appear in the course of contest, keep track of news. 3) We use WebMoney system to send money. 1) Videos can be submitted from May 20th through June 20th 2010 by registered contestants only. 2) Files are to be uploaded either on a filehostnig service or on AMVNews FTP (you may use an archive protected by password and indicate the password in the "Comment for administrator" field of the application form). There will be no individual FTP for each of the contestants. 3) Fill in the application form located here. 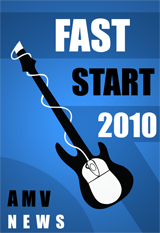 Choose “Fast Start 2010” as one of the categories. Make sure there was a site message "Thank you, your video has been added successfully" after the upload. Here you can see whether your video was added to the list for moderatorial check. Then you’ll either wait yours turn to see the video on site or you’ll get a private message from administrator requesting to correct the deficiencies found during the check. Your video moderatorial check status will be posted [url=]in special topic[/url]. If any questions arise, contact the administrator via private message. 2) In the first round of voting the categories finalists are chosen. Participation in the first round of voting is not obligatory, but in case there are two videos with the equal number of votes the priority will be given to the creator who took part in voting. First round judges must watch ALL contest videos and fill in the online form on the site. Thus if you want to participate as the first round judge, be ready to download a huge volume of data. 3) Second round judges must watch all finalist videos and choose the best of them via the online form. Second round judges include finalists contestants and invitees. If a finalist contestant did not vote in the category where his/her video is nominated, then the number of points scored by that finalist is reduced by the maximum number of points possible for the nomination concerned (notice, that it can make a considerable difference in the distribution of finalists’ rating positions). Voting procedure details and the registration of judges are to be announced. 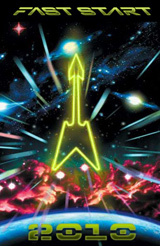 For the registered musics on the website, is it possible to get all the genres in english (because if we want to choose a specific kind of music and if we don't understand what is the genre, it's a bit difficult). Ok, I'll translate it later. 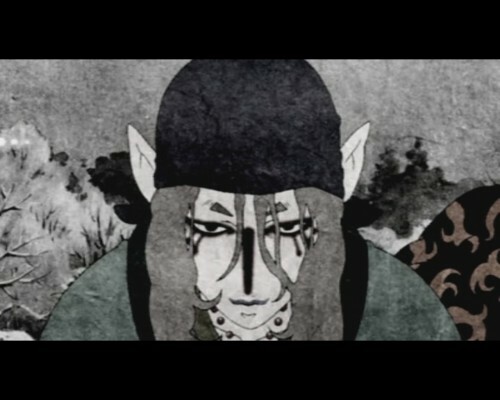 Probably I'll add full list of songs in topic on AMVFrance forum when we finish accepting music.